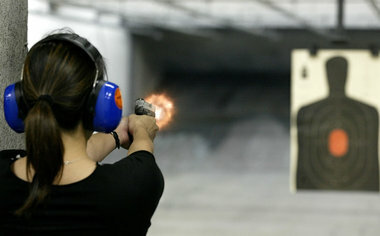 Arlington Gun Academy's goal is to promote Safety and Education in the ownership and use of guns. Additionally, we also offer the required certification course to be submitted as a part of an application to the State of Texas for a License to Carry a handgun (LTC). We are centrally located in the middle of the Dallas / Fort Worth Metroplex. We have students attend from Arlington, Mansfield, Fort Worth, Dallas, Hurst, Euless, Bedford and as far as Houston and Lubbock. Our Chief Instructor is certified by the Texas Department of Public Safety to teach the Concealed Handgun Licensing Class as well as having been Certified by National Rifle Association as an Instructor and a Federal Firearms Licensed Dealer (FFL). To view all our available classes click on the COURSES button at the top of the page. Our classes are also available in a calendar viewer by clicking on the SCHEDULE button. View which States currently allow Texas Handgun Holders to carry! Arlington Gun Academy is a Class 3 SOT Dealer. We can help you navigate the whole process of purchasing Suppressors, Short Barreled Rifles and all other Class 3 NFA items. 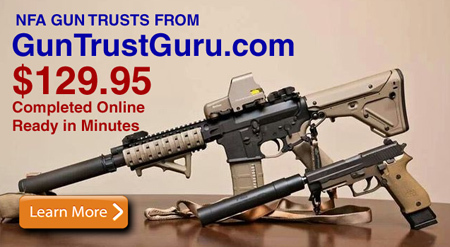 We recommend Gun Trust Guru for all your NFA Trust processing needs. All firearms and magazines are to be clear and unloaded before bringing them into the facility. No alcohol or drug use prior to or during entire class time. No profane language or racial slurs will be tolerated. Arlington Gun Academy reserves the right to refuse to teach any student or participant and/or ask them to leave the classroom at anytime due to a violation of these rules. *You need to provide your own ammunition for additional opportunities if you fail to qualify the first time.